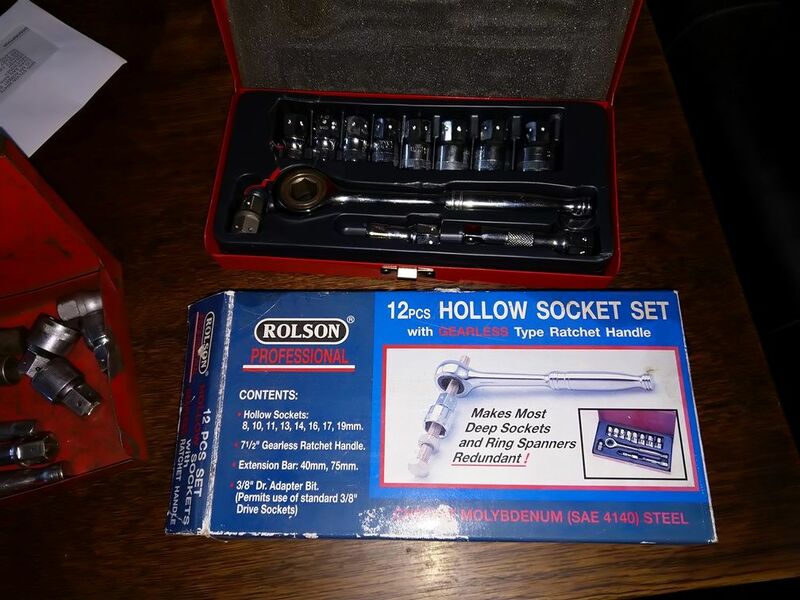 So, about 33 years ago I bought a socket set which I paid £28 for mail order. 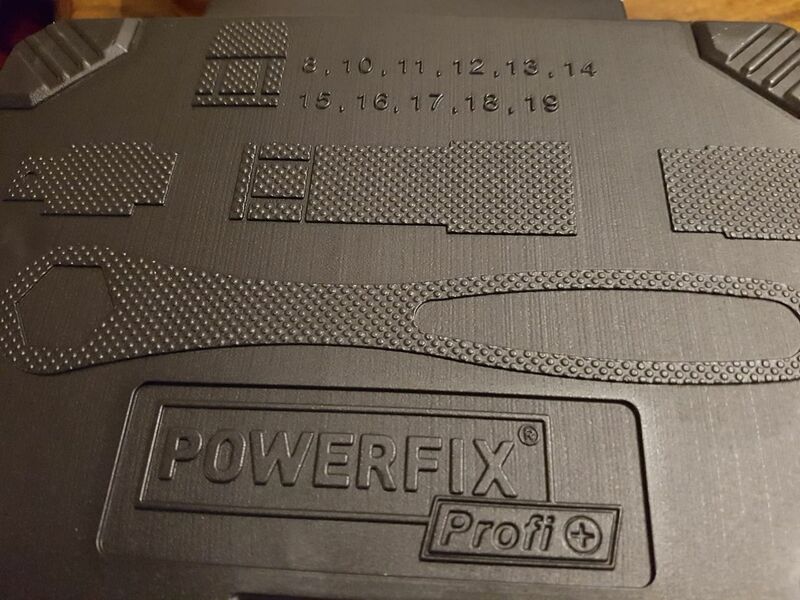 It has been without doubt the single most used most successful ever tool I have ever bought. In recent years I have had the misfortune to break a couple of bits, which I struggled to find replacements for. Big features are the smooth stepless ratchet and the through socket design which is so versatile. In the first shot you can see a couple of sockets that don't match from an earlier (failed) attempt to find compatible sockets, and the new set didn't come with a long extension bar, but I am just pleased to have found another one, I can keep one in each RR now. 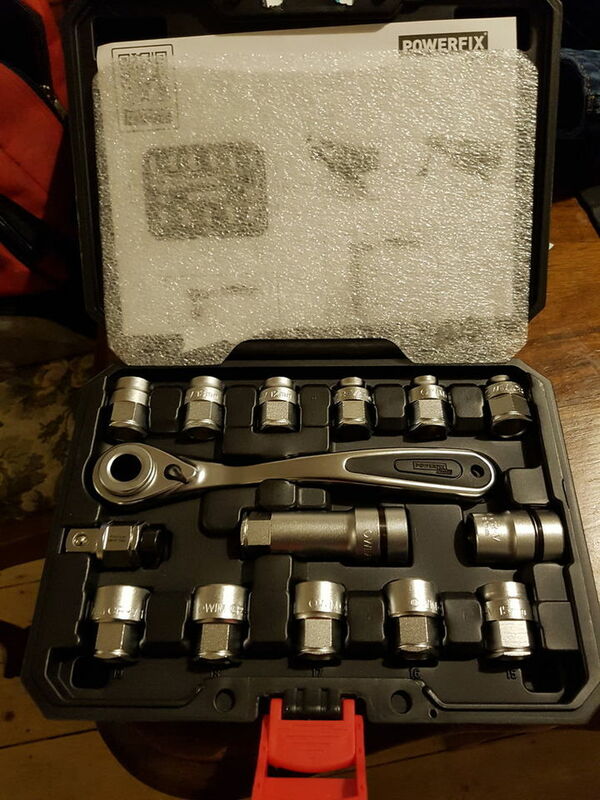 Thing is that this ratchet/wrench format is so useful I can't believe it isn't more popular/widely available. Funny thing is I paid £30 for the new one, hardly more than the original, and although Rolson wouldn't be a brand I would choose quality doesn't look bad, I think the stock might be quite old, looking at the box. Time will tell........... anyone come across 16mm hex drive 'through' style sockets anywhere else? It's probably not that popular as it makes the ratchet head a fair bit larger, but I can definitely see the benefits for many, many situations! Not seen them around myself. 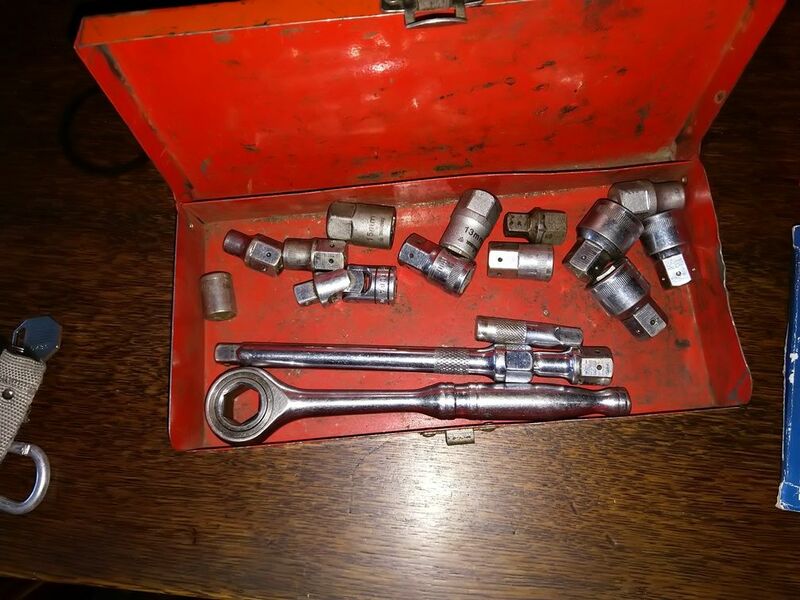 Sort of half way been a socket set and a ratchet ring, I prefer a ratchet ring as the pass through diameter is as big as the nut size and you can get them with flexible heads which make getting in to tight spaces easier. I'll admit to being tempted by a set of the flex head ratchet ring when I see them but the price of a quality set makes it a bit more than an impulse purchase. I've had my two cheap sets (long and stubby) for about 5 years of light DIY use with no problem. The Halfords Pro ones are great. And they're only £30 at the moment. Thanks for the tip, but it looks as if we are too late, none of the stores I'll be local to have any stock left and it is being replaced, collection only if your local store has any. Just checked my local store and all out or I'd have grabbed some for you. I was talking Lidl for the through socket set, I think that for the price/quality/warranty combination is better than other cheap tools and good enough for a lot of DIY use. Halford have the "Advanced" version of the ratchet spanners in stock with £5 off at £50 with "Life time Warranty" but not the "Pro" version at £30 near me. I can only see the 12 piece at £84 ??? but if you can get me a 9 piece and its no trouble then I would be grateful. Sorry, mixed that up .... it was land rovers forever who had offered, no panic.. So my mistake the £50 one is the NON flexible version. Went into Lidl and picked theirs up. Solid piece of kit. Will need to see how it lasts. Our local one is up to 13mm sockets only and is more like a 1/4 drive set than a 3/8ths, .... perhaps we'll get your version next week. Matter of interest what is the hex drive size, its not 16mm by any chance? Given that @soutie picked his set up before they should be available on 3rd Feb, this is probably a set of old stock from a different special offer day. The sockets are about 2cm across or .8 of an inch where they go into the ratchet head. The 19 mm socket there is an adaptor that makes it a 12.mm or 1/2 inch drive to take it. The model number of the set is HG01215 or IAN303402. Odd stuff is better. We have a Kamasa set my Dad bought nigh on 40 years ago. It's in a metal case, and has survived 30 years of use on the farm. The ratchet handle isn't an ergonomic grip like my Halfords set. Nothing wrong with the latter set either, but the plastic case has a hinge that broke years ago. Agreed (presuming old for odd). I have 20 yr Teng, near 40 yr Kamasa and 60 yr Britool inherited, all great stuff and I have never broken any of it despite trying quite hard. But it is all 1/2 inch and big heavy sets which stay at home. The handy thing about the little 3/8 inch set is it takes up no room in the boot, any is so multi-purpose.